At only 12 years of age, Avishai Rosen has made ​​a remarkable leap and has become one of the most popular singers of Jewish music. 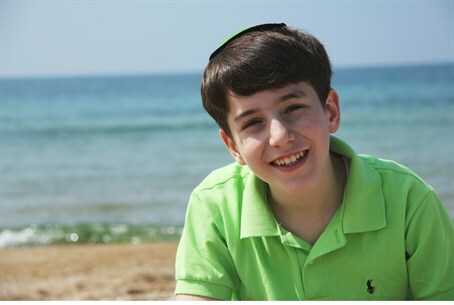 At only 12 years of age, Avishai Rosen has made ​​a remarkable leap and has become one of the most popular singers on the radio, television and in the music industry in generals. After four years of singing with the Kinderlach (Yiddish for children) children’s group, Avishai started an independent musical career and was the first child to record an album of original Jewish pop-rock music, just three months before his Bar Mitzvah. Avishai, who plays the piano, drums and guitar, was also the co-writer of some of the songs in his first album which came out right before Rosh Hashanah. Avishai Rosen’s musical style includes rock, pop and soul music with happy rhythms and catchy songs as well as softer and touching tunes.